Select your box order size, preferences and delivery frequency. 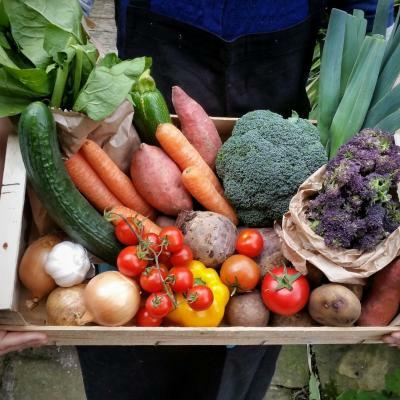 This box will contain 6 generous portions of vegetables grown within 60 miles of Hebden Bridge. Suitable for 2-3 people We cannot make changes for this box type. Suitable for 1-2 people This box contains 9 types of seasonal organic vegetables, including potatoes, carrots and onions with a changing mix of other vegetables. We include mushrooms, peppers and courgettes on a regular basis but there will be more roots and greens in the winter. 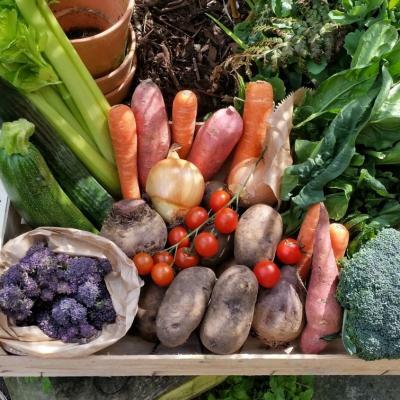 Suitable for 2-3 people This box contains 10 types of seasonal organic vegetables, including potatoes, carrots and onions with a changing mix of other vegetables. 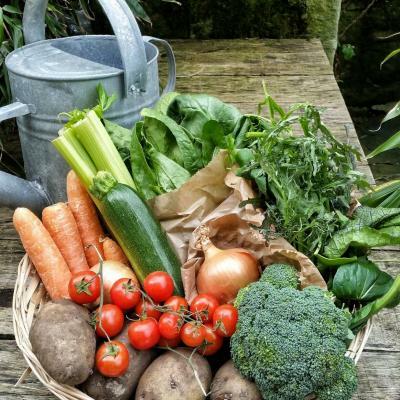 We include mushrooms, peppers and courgettes on a regular basis but there will be more roots and greens in the winter. Suitable for 1-2 people. A mix of at least 3 different organic fruits and 8 vegetables.